Hitachi intercity train CGI in Kings Cross station. The final train design and branding to be released at a later date. 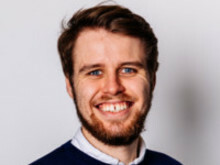 FirstGroup has secured rights from the Office of Road and Rail to run a new ‘open access’ service between the two capitals, with the aim of encouraging people to use trains rather than planes. Currently two-thirds of journeys between the two capitals are made by air. Steve Montgomery, First Rail’s Managing Director, said: “We’re excited to announce the next step to providing our high-quality low fare service for customers linking London and Edinburgh. There’s a real gap in the market for truly affordable rail travel between the two capitals – our plans show we are serious about competing with low-cost airlines and opening up rail travel on this key route to thousands of new passengers. 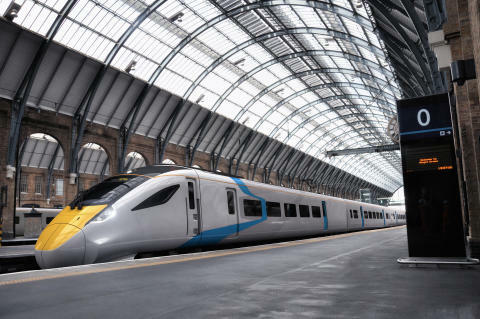 Rob Dee, Commercial Director of Beacon Rail, said: "Beacon Rail is delighted to be financing, procuring and leasing the new Hitachi Inter-City Trains for FirstGroup’s new London-Edinburgh service. We are delighted to extend our existing relationship with FirstGroup and look forward to working closely with the Hitachi Rail Europe team to deliver a fantastic passenger experience, which will encourage passengers out of planes and onto trains, promoting sustainable travel."